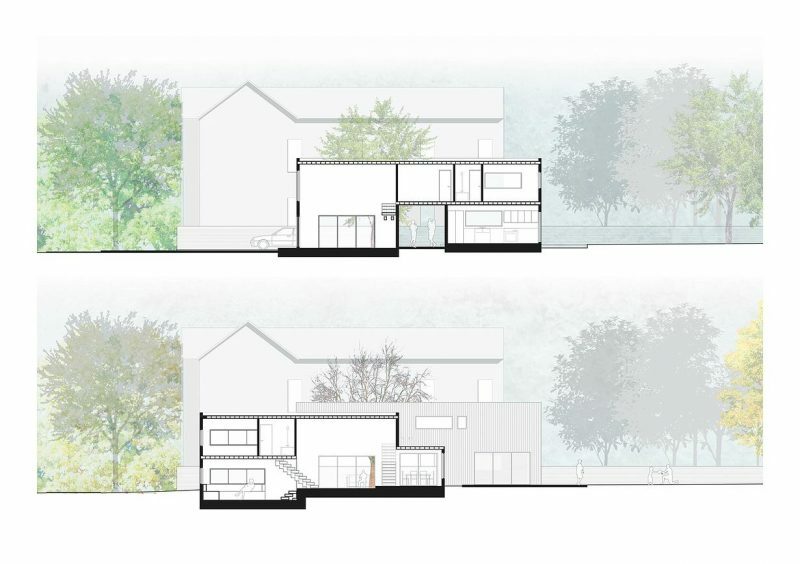 Pitcrit – Prototype House: 56 Henry St.
Prototype House: 56 Henry St.
56 Henry is a 1,500 sf single family house prototype designed to address an abundance of abnormally thin lots throughout New Haven, CT. 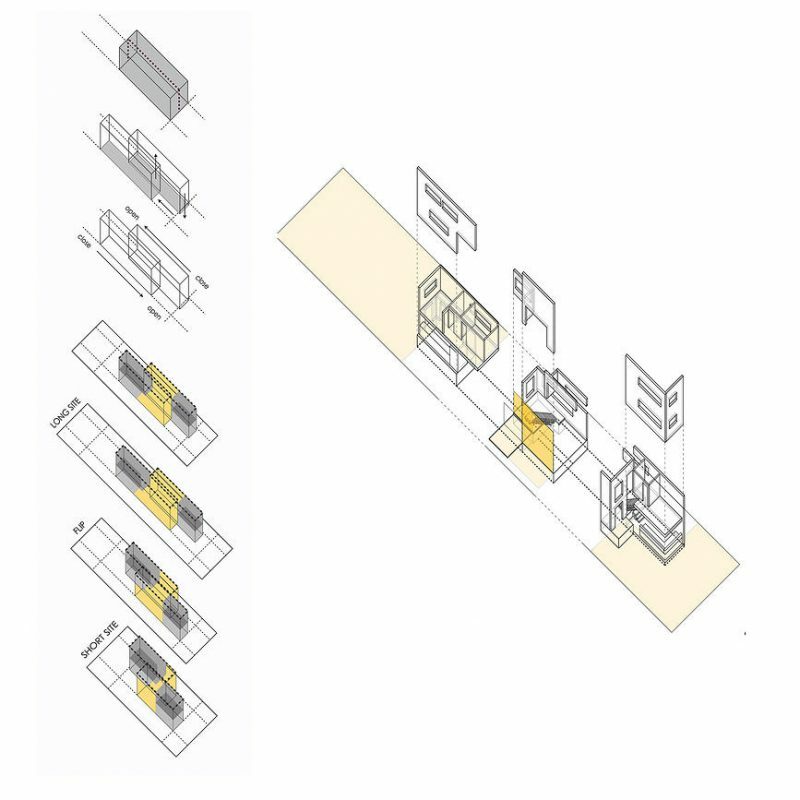 The prototype is a simple volume split, built to maximize privacy and natural light, two key limitations of the prototypical thin lot. 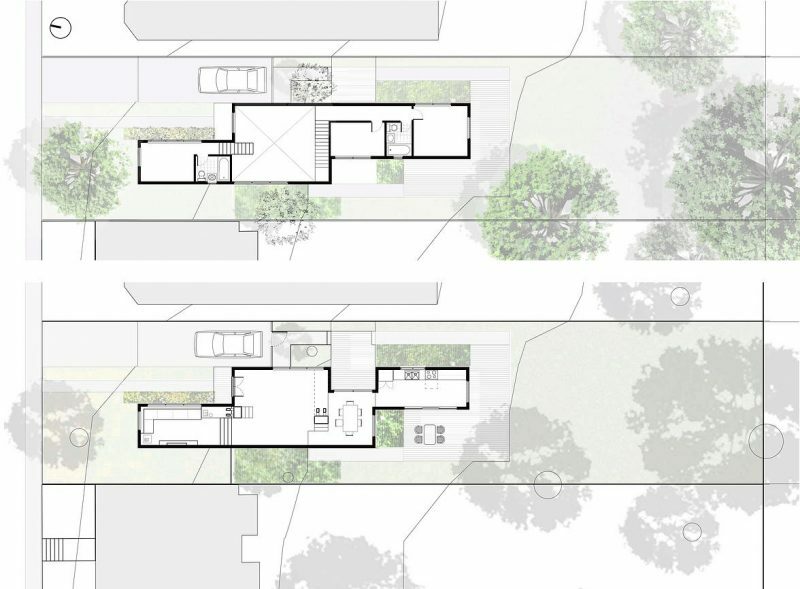 Through it shears the kitchen and second set of bedrooms towards the back of the site, this prototype takes advantage of the light and views provided by the empty adjacent backyard. 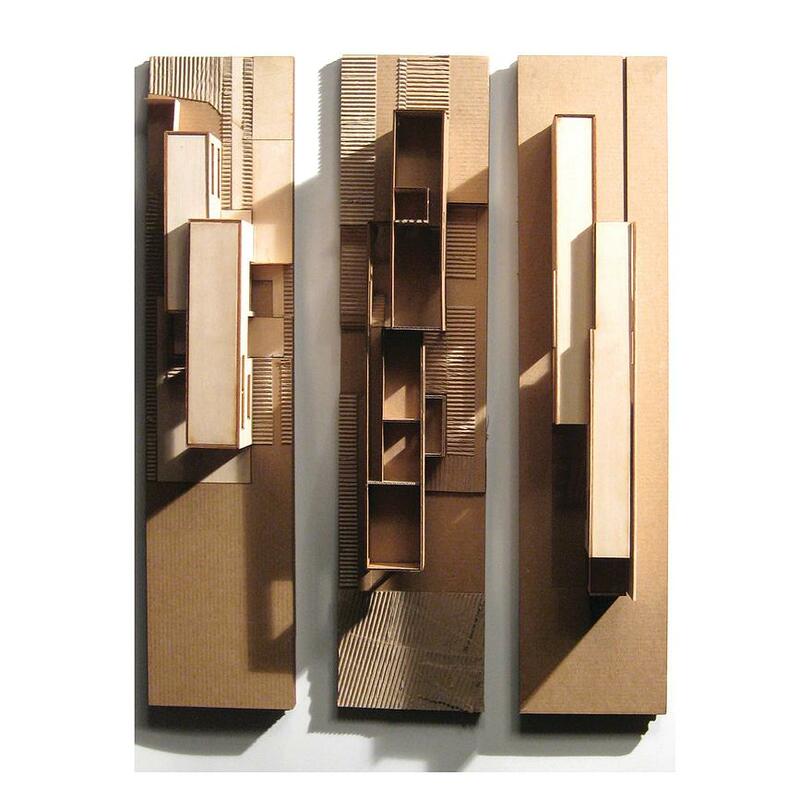 In so doing, it doesn’t turn its back on the neighborhood by setting itself too far from the street. 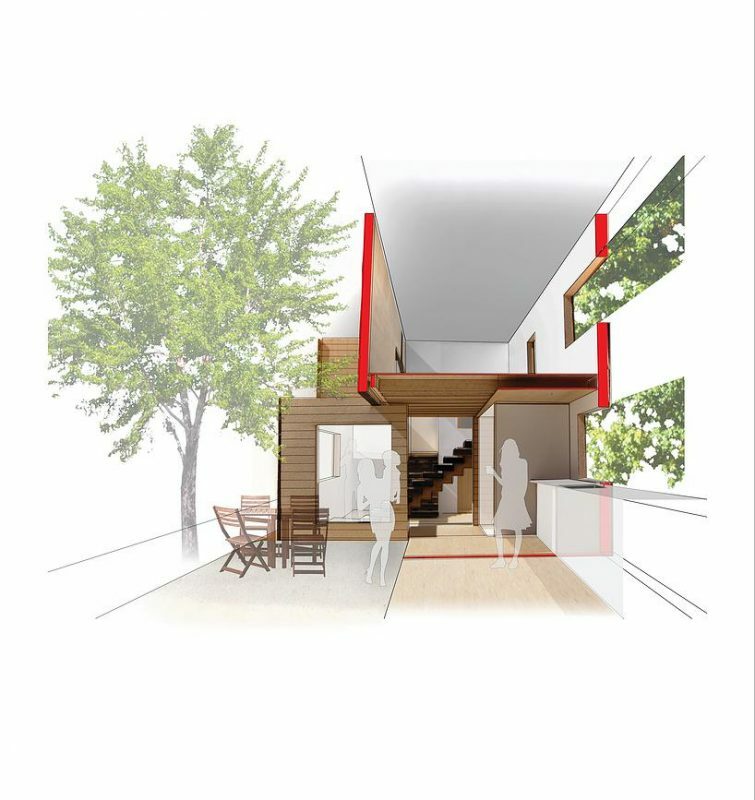 Elongation of the house creates the feeling of additional interior space while activating a larger portion of the site. This approach also maximizes outdoor area by creating a hierarchy of programmed outdoor spaces sited for seasonal use, as opposed to a single open back lot. 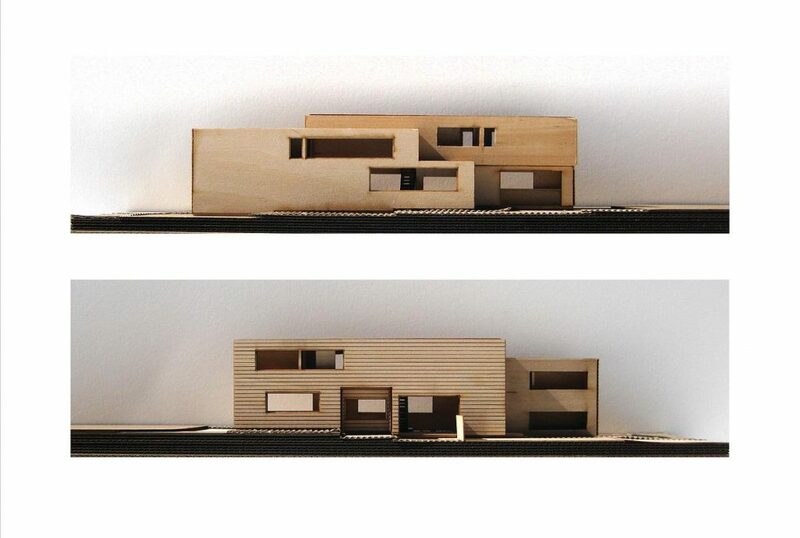 The prototype can be modified to fit the needs of each unique thin lot by lengthening or shifting to respond to site-specific idiosyncrasies, including adjacent houses, existing topography, vegetation, and orientation. I hope to see iterations and more design developments rather than just one column of diagrams, but good job. It is unclear if your concept is reflected in the final design but it seems like your old project; so I guess you learned a lot already.